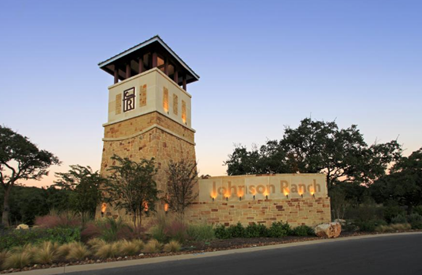 ​​ BULVERDE – The developer behind the 8,700-acre luxury master-planned community Cordillera Ranch is developing a new master-planned community in the Texas Hill Country called Johnson Ranch. The 767-acre development will be adjacent to US 281 and have entrances along US 281 and FM 1863. Plans call for about 1,000 houses with various lot sizes in ten distinct communities, most of which will be gated. So far, nearly 400 homes have been completed, and 50 more are under construction. Amenities in the community will include an indoor-outdoor amenity park with a pool, as well as trails, parks and undeveloped open space that will take up nearly a third of the ranch. Besides residential property, the site map calls for about 100 acres of mixed-use retail and office frontage property along US 281 and FM 1863. ​Check​​​ out San Antonio-New Braunfels Housing Market Research.